The disease mainly affects women (about 75-90 percent of cases), causing pain all over the body. Because not all healthcare professionals are adept at identifying and diagnosing fibromyalgia, reported rates of the condition vary greatly from country to country. In China, it affects only 0.8 percent of people, in France around 1.5 percent, in Canada 3.3 percent, and in Turkey 8.8 percent. Estimates in the US range from 2.2 percent to 6.4 percent, and in Russia, about 2 percent of the population is affected. People with the condition are often diagnosed if they have longstanding muscle pain, bone or joint pain and fatigue. Fibromyalgia can also cause insomnia, "brain fog", some symptoms of depression or anxiety, as well as a range of other complaints, including irritable bowel syndrome and headache. 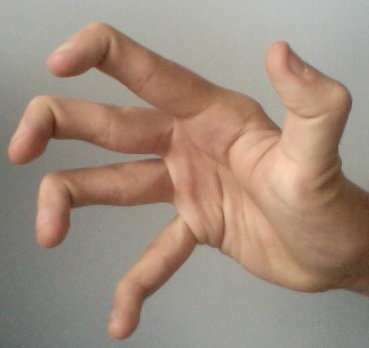 Many patients are also hypermobile ("double-jointed"), and there is some overlap with chronic fatigue syndrome (also known as ME). Guidelines from the American College of Rheumatology make it clear that the diagnosis should be made using defined criteria based on the "widespread pain index" (which scores the number of painful regions out of 19) coupled with a symptom severity scale. The diagnosis also takes fatigue, generalised pain, unrefreshing sleep and cognitive symptoms into account. It doesn't matter if the patient has another rheumatic disease, they can still be diagnosed with fibromyalgia. The scoring system, recommended by the American College of Rheumatology, is often used in clinical trials, but in the clinic, most doctors rely on detecting tender points in specific places and on excluding other medical conditions, including rheumatic conditions. Unlike say, rheumatoid arthritis or lupus, the tests do not show clear evidence of inflammation or autoimmunity (when the body's immune system attacks itself) and scans are normal. A number of possible mechanisms have been proposed in fibromyalgia, including abnormal muscle metabolism, reduced levels of steroid hormones such as cortisol, or abnormal small nerve fibres. But these abnormalities aren't found in all patients with the condition. As such, they can't be used as part of a diagnostic test, nor can they help develop treatments. The study is in two parts. 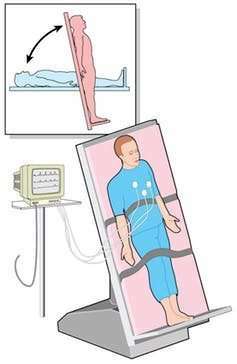 First, we will test the patients' autonomic nervous system using a tilt-table. This involves tilting the person head downwards to see how well their body adapts to this change in posture by changing heart rate and blood pressure (both of which are monitored during the test). Second, we will stimulate patients' immune systems with a typhoid vaccine (the normal type used in travellers) and perform magnetic resonance brain scans to look for changes in blood flow and also measure the levels of "inflammatory mediators" (the chemicals the body produces in response to stimuli of this type), to see whether these are higher in the fibromyalgia patients.